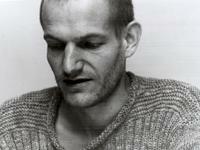 Wolfgang Mitterer studied organ, composition and electroacoustics in Vienna and Stockholm. He is not only one of the Austrian specialists for electronics as well as being equally brilliant on the keyboard and on the slide controls, but is also one of the most innovative composers. His work oscillates between composition and open form. Apart from music for organ and orchestra, a piano concerto and an opera he has produced electronic pieces, conceptualized sound installations, and engaged in collective improvisation with diverse groups, developing a language of extremes, tension and complexity. The pleasure he takes in experimenting leads him to combine contrasting elements in the creation of unpredictable musical events. In one major composition, for instance, he juxtaposes musical bands and children's choirs with specialized instrumentalists and singers, while filling the hall with surround sound created by live electronics. But his work transcends the merely spectacular, precisely because of his musical presence and the high - deeply moving - intensity and complexity of his compositions. Listening intensely to low sounds has its place just as much as the "installing" of exploding sound fragments in the listeners' minds. Far from being smoothly pleasurable, Mitterer's music is still uncannily beautiful at times.